Make your favor display the highlight of the night with Weddingstar's wonderful collection of wedding favor boxes, containers and jars. 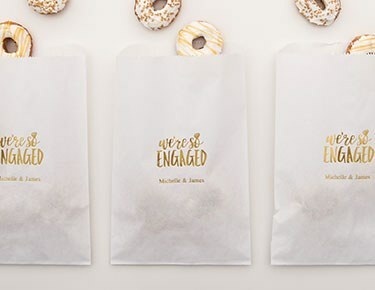 With our overflowing assortment, you can truly let your favor fantasies run wild — make sweet-as-can-be homemade baked goods, create stunning miniature floral displays or send guests home with something they can make or plant all on their own post-wedding — so that you send guests off with a lasting memento that they'll cherish for a lifetime. Start here if you're in the market for unique favor boxes for your wedding, bridal shower or any other big event. 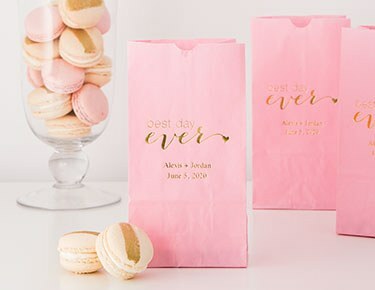 Naturally, we have a large collection of unique gift bags, boxes and treat bags that you can use as an economical way to present your favors. For something over-the-top, take a peek at our great collection of miniature favor containers that are prepped and ready to complement your theme. For example, you can use our miniature suitcases to celebrate your travel theme, or our miniature gumball machine flavors to play into your retro vibes. 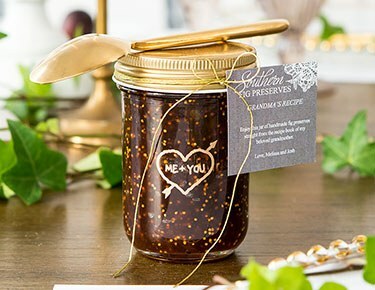 We also have a wide assortment of unique gift bags, boxes and jars that are tailor-made for your wedding theme. Shop diamond-shaped gift boxes, miniature pots, novelty camera favors and so much more. Want to keep things classic? We have you covered. Explore our variety of classic folding favor boxes if you want a stylish yet understated way to tie together your wedding colors. Whether you need cheap red favor boxes for your winter wedding or glamorous gold favor boxes for your glitzy New Year's Eve nuptials, you'll find the right style at Weddingstar. 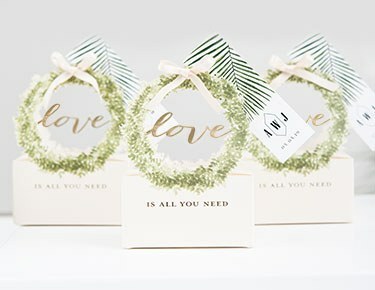 We also have beautiful drawer-style favor boxes that can be personalized with your names, wedding date or an extra-special phrase for something truly unique and original. 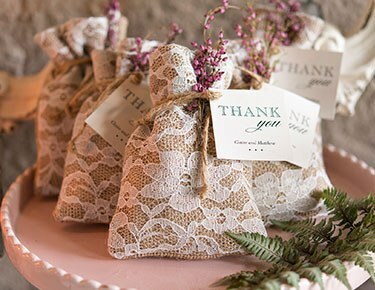 Make sure to shop all of our wedding favors and supplies for more great ideas.